How do senior citizens save money these days? Some seniors know all the secrets to keeping more of their money in their pockets while others leave a lot of money in the hands of the government. I have found that the biggest problem is a lack of knowledge, and I want to stop that from happening to you and those you love. I put together this list of tips and resources with the goal of helping you save money in 2018 and many years to come. You may not qualify for all of these resources or tax credits, but you never know until you look into them a little deeper and see whom they are designed to benefit. Now that I have your attention and you’re ready to save some money on your taxes, let’s get down to the resources and tips! While housing subsidy programs like Section 8 are designed to keep senior citizens and other low-income people safely housed, they can disqualify you for some tax credits and other tax relief programs. It’s important to consider these programs if you need help paying for housing, but keep in mind that there are programs out there that will help you save some money if you are paying for housing on your own. The Senior Tax Credit for the Elderly and Disabled could reward you with a tax deduction of up to $7,500 if you’re retired or on total disability with taxable disability coverage. There are some qualifications that you must meet, but the goal is to reduce the amount of income tax that low-income seniors must pay. This is one of the biggest senior tax relief programs. If you’re over the age of 65 and your taxable income doesn’t go beyond $11,900, you don’t need to file for income tax at all. 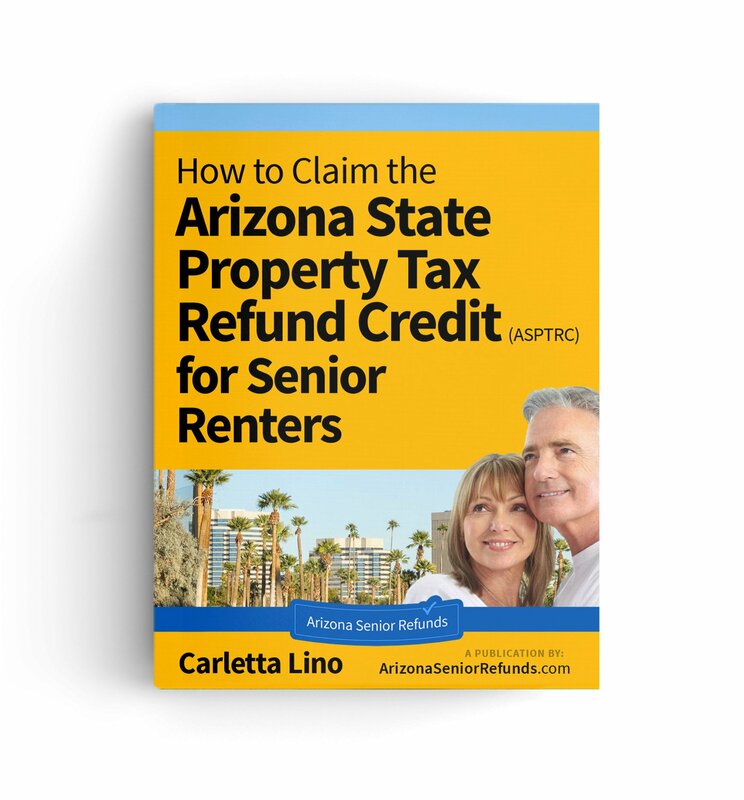 This won’t stop you from filing for the Arizona Property Tax Refund Credit or similar programs, which are dependent on your lower income. There are now laws on the books that allow some people to take tax deductions for their medical expenses. If you spend a significant amount of your income on medical care, this is something to consider. If you currently receive Social Security benefits only and are struggling to make ends meet due to low income, consider applying for Social Security Income as well. This is often referred to as SSI and is designed to help low-income senior citizens and disabled persons live more comfortably. There is a list of requirements that you must meet to qualify and some people need to hire lawyers to get approved, but it’s always worth applying if you need the financial assistance. Are you looking for another source of income that won’t trigger penalties for your Social Security? Consider investing your money for the long-term capital gains. You can start seeing some profits after holding your investments for just one or two years. Just keep in mind that you can also lose money this way. This may be something that you as a retired senior may already be doing. According to AARP non-work income such as pensions, investment income, interest and capital gains are not counted towards your income and will not affect your benefits. Medicare is the healthcare system designed to take care of taxpayers when they reach the age of 65. There is a penalty for signing up for the system late if you don’t have suitable healthcare through an employer or another resource. You can save a bit of money by simply making sure that you sign up for your Medicare on time. Your initial enrollment period will open a few months before you turn 65, so you might want to start learning about this system a bit early. If you are new to Medicare, here is an important link to investigate: https://www.medicare.gov/people-like-me/new-to-medicare/getting-started-with-medicare.html In 2018-2019 Medicare will issue Medicare beneficiaries: New Medicare benefit cards that omits Medicare recipients’ Social Security numbers on it for greater security and identity protection. If you have not received your new Medicare card within this specified timeframe, give Medicare a call. Did you know that there are four Medicare Savings Programs that can help you pay the out-of-pocket expenses that come with Medicare? These programs aren’t attached to your taxes and have their own qualifications to meet, but they are a great option if you want to keep some of that money in your pocket to cover other expenses. Information on the new Medicare savings programs can be found here: https://www.medicare.gov/your-medicare-costs/help-paying-costs/medicare-savings-program/medicare-savings-programs.html. If you have limited income and receive Medicare, you might want to apply for Medicaid as well. This is a program designed to help low-income persons receive higher quality healthcare, and they may help you with additional benefits. There are income restrictions and other qualifications, but you can qualify before the age of 65 if you have a disability. Low-income Medicare beneficiaries or seniors who are disabled can inquire at their local Medicaid office or contact Arizona State Health Insurance Assistance Program (SHIP) at 1-800-432-4040 for further assistance or information. Do you want to know more about saving money as a senior in Arizona? 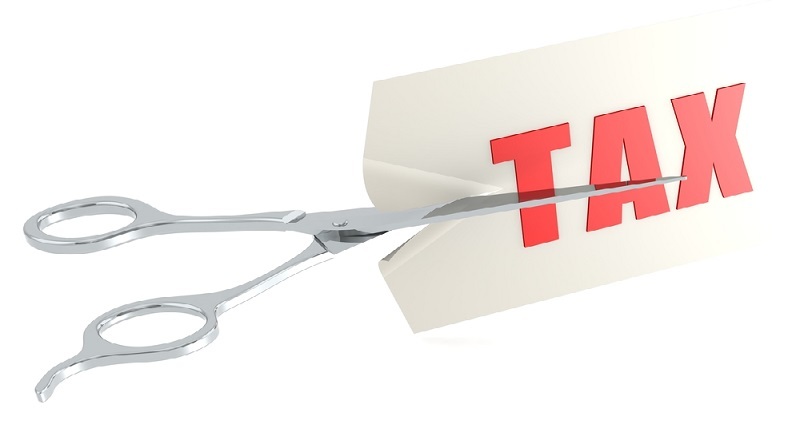 Explore the rest of this website to learn more about the Property Tax Refund Credit. It may sound like that only applies to homeowners, but that’s not the case. 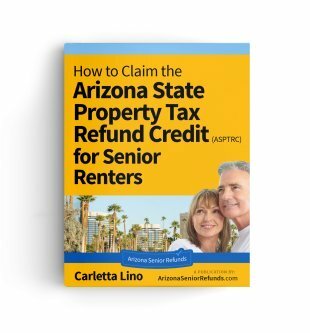 If you rent property in Arizona and your monthly rental payment includes a fee for property taxes, there’s a chance that you can get $100 or more back from the State of Arizona at the end of 2018. I talk extensively about this tax credit on this site, so look around and feel free to send me a message if you have questions.